I’ve had a real Mexican theme going on with my cooking recently. The theme wasn’t planned but I went to Leith’s cookery school for a Mexican cooking class on Friday so I think subconsciously I’ve been in the mood for all things Mexican. I have memories of eating wonderful Mexican food while growing up in California, my father made the best tacos! While I was the happiest girl ever when “Old El Paso” came to the UK it’s the fresher, more authentic, less processed Mexican food I really want so I was really excited about the cookery class! We cooked some lovely things on Friday, one of the most impressive things was the whole box of ripe avocados they had! When do you ever see that here? I can hardly ever get avocados from the supermarket for use on the same day, I find markets better for having riper and cheaper avocados otherwise I have to be organised and buy them a few days before I need them. We made chilled avocado soup in the class, it was good but to be honest not really my thing also the lovely teacher did ask that her recipes not be published. So today I am writing my recipe for guacamole. I adore avocados, apparently I was weaned on them! Guacamole is one of my favourite ways to use them. It’s so easy to make your own, all you need is a chopping board, knife and a bowl! Chop everything, add to the bowl, mix and its done! 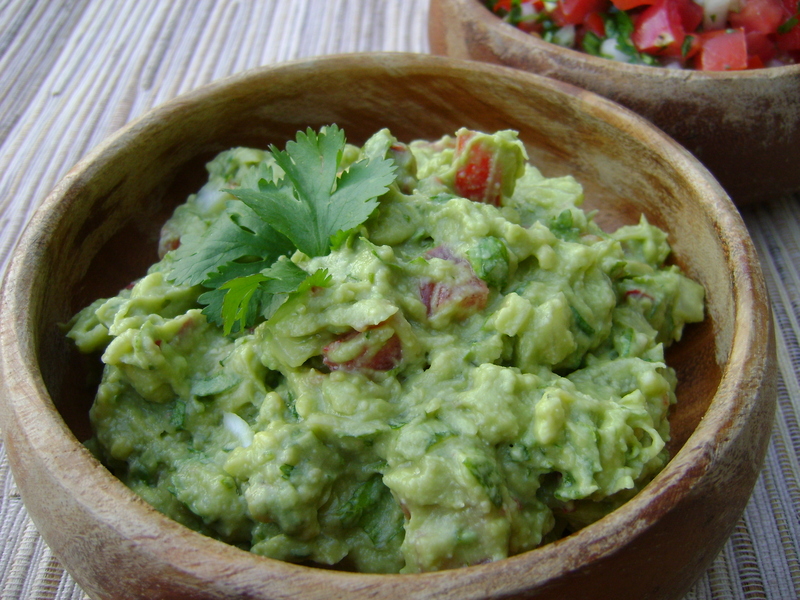 If you have never made your own do try it, it’s so much fresher and nicer than ready-made guacamole. I use it in tacos, as a sandwich filling, as a healthy lunch with some chopped carrots and celery. Its delicious spread on crispy toast. As well as being delicious avocados are really good for you too they are a good source of potassium and folate as well as vitamin E. They apparently have anti cancer properties, can help lower your cholesterol as well as lowering the chance of strokes and heart disease. 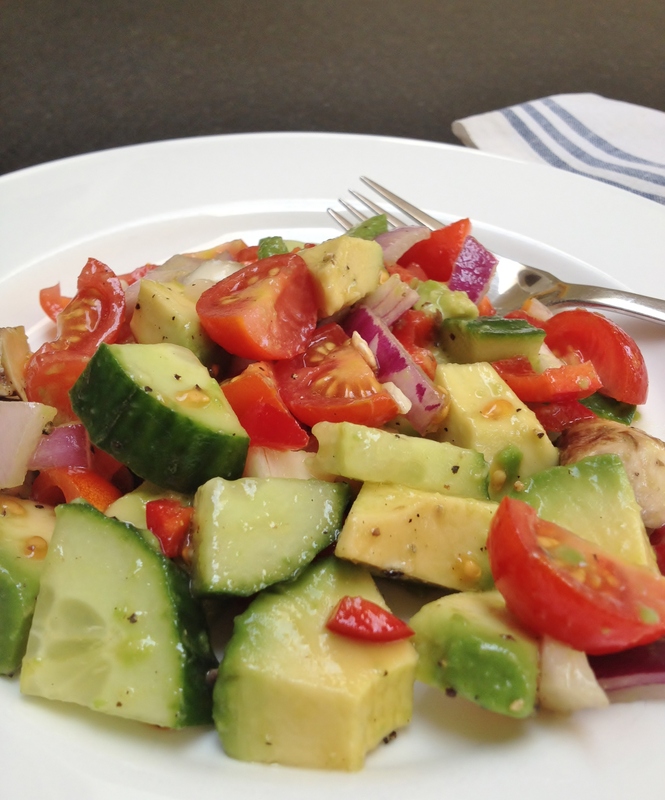 Once the avocados are cut they do go brown, the lime juice in the recipe does help to prevent this. A long time ago I read that if you put the avocado stones back into to the guacamole when it’s prepared it wont go brown. I don’t know why but this really works so don’t throw away the stones, pop them into the guacamole when its done, cover with cling film/glad-wrap and it will happily stay in the fridge until you need it. Halve the avocados, reserving the stones. Scoop the avocado flesh from the skin with a spoon, put into a bowl and roughly smash with a fork. Do not puree the avocado you want some chunks and texture. Add the rest of the ingredients and give a quick stir to incorporate everything. If not using right away pop the stones into the guacamole and cover with cling film. Store in the fridge until needed.